Belarus Digest begins publishing summaries of the most notable studies prepared by Belarusian scholars and institutions. Digest of Belarusian Analytics will cover the most interesting publications, which are often not available in English. Devaluation. What's next? Yuri Pshennik, analyzing the economic program of recovery, comes to the conclusion that the Belarusian authorities "are still capable to devalue but not to conduct economic reforms". 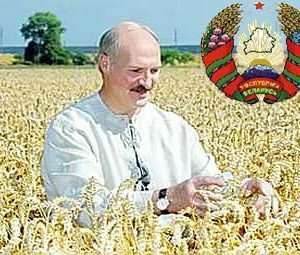 The Belarusian government has been consistent in repeating all the economic failures of the collapsing USSR – from large-scale pumping of the economy with "empty" money to subsequent devaluation, hyperinflation and freezing bank deposits. Belarusians have a growing sense of injustice. 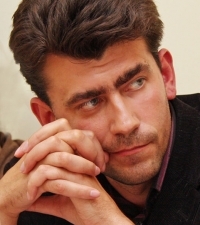 Based on his latest research sociologist Oleg Manaev of Independent Institute of Social Economic and Political Studies is sure that to attract new supporters the opposition should pay more attention to the economic situation in its programs, slogans and actions. He notes that although Belarusians do not support the regime and many even suspect that the authorities were behind the terrorist act of 11 April, this does not convert into support of opposition. The new architecture of the street protests. The authorities and opposition should learn the new architecture of the street protests according to Yuri Chavusau from the the Association of Democratic NGOs. Evaluating the action under the slogan "Revolution through Social Networking", he notes that such actions show that there is public demand for a protest: “The opposition should not try to lead those actions – they should come and talk to people, find out what they want”. Belorusy i Rynok analyst Pavlyuk Bykovsky stresses that it is rather difficult for the authorities to deal with such protest activity, since there are no leaders and centers that can be suppressed. Political analyst Pavel Usov considers that Belarus and its people have become a hostage of the vagaries and absurdities of presidential decisions. "Now Lukashenka is thinking only about that how not to lose his power and keep people in check". Usov observes that Belarusians are willing to revolt for consumer goods. BISS`s previous social contract research showed that Lukashenka has created a new consumer generation, what could turn against him, when they do not have their goods. They are indifferent to independence, freedom, the language, they are only concerned about comfort. Belarusian Foreign Policy Index. BISS published the second Belarusian Foreign Policy Index for April-May 2011 dedicated to the important trends in international relations with Belarus. In this issue experts analyze five vectors of foreign policy of Belarus: relations with the EU, Russia, China, the developing countries of Asia, Africa and Latin America, as well as relations with Ukraine. The authors note that he Belarus clearly tilted to the East. The room for foreign political maneuver is narrowing, while self-isolation trends became more prominent. Signs of the new information war between Russia and Belarus. Analyzing the relations of Russia and Belarus since the beginning of summer 2011, Andei Fyodarau and Dzmitry Kopal predict a worsening of bilateral relations up to the new information wars. They conclude that the Belarusian authorities are in a very difficult situation and will not be able to be as "independent" from the West and the East as in the past. In economic terms both Russia and the West put forward very similar conditions. The decisive factor is, perhaps political: what direction would enable the authorities to stay in power for a longer period of time. In principle, the West only insists on democratic reform, including free and fair elections, which the regime could theoretically do. But apparently the Belarusian authorities have doubts about their sucess in free elections. On the other hand, Moscow is not interested in democratic standards, but in gaining political and economic control over Belarus. Gradual concessions of the official Minsk in favour of Kremlin can be explained by the subjective factor, namely their apparent ideological affinity. In the end this affinity may play the most important role.